Christmas in Greece is celebrated on December 25th,but presents are usually given on January 1st,St.Basil’s Day (Agios Vassilis or Father Christmas ) from the UK. St. Basil’s (Agios Vassilis) name has been given to Father Christmas. He is celebrated on January 1st and he is associated with New Year’s Day,the day we get our 2016 presents. Hogmanay Scotland …. Any Similarities … ? Perhaps for those whose fealty to tradition is never in doubt.The world is rapidly changing but we try to keep culture and tradition unaltered. My Santa sat on the Fireplace Mantel Reading his Notes and Giving away his Presents. Just a quick post with my Best Wishes for a Happy 2016 and to let you know that I will soon make a start again by answering all your kind comments on my Christmas post and visiting your place to enjoy your New Work.When I left my inbox was empty empty,and I want it back decent again.Please allow me some time.A big Thank You for your understanding and some flowers for You. Wishing you a wonderful 2016. Christmas is never too late…”Christmas” is every day at my house…. waking up in the morning with the sun shining and being healthy… that is a Christmas present every single day! Many thanks from my ♥ for reading it and for your pleasant comment,dear Jet!Actually,I have come back from the Victorian Falls and the Waterbucks’ fascinating community in Africa which aroused some more sweet exchanges.Isn’t it wonderful and constructive ?I wish you also have a splendid,healthy and prosperous new year.Old January has gone and Baby February made its first steps.Time flies like the wonderful birds you observe in their natural surroundings! How nice post. I learned that Christmas presents are not given at same day everywhere. Thank You. All the best for 2016. 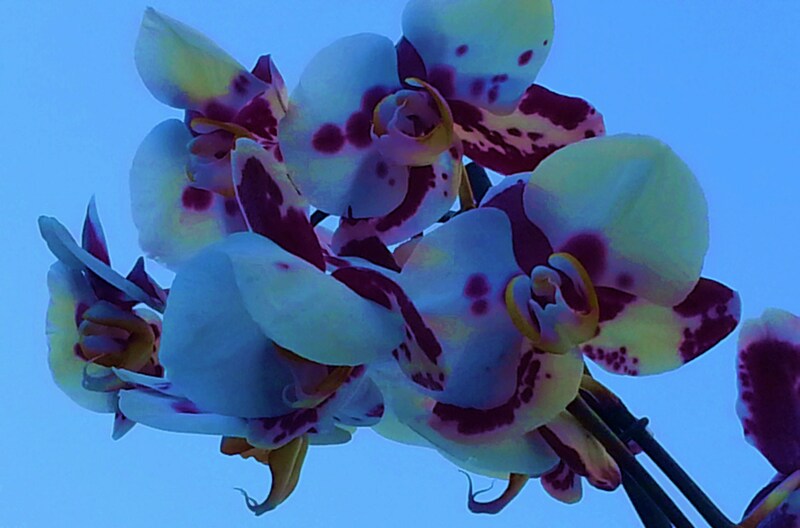 Orchid flowers are very beautiful. Thanks a million dear friend!I am so very glad you appreciated what I shared with you!It’s really interesting to see the differences worldwide.The snow-clad bells in your recent post were absolutely fascinating.Sending you love & peace! I love these image trilogies and the first image is so curious as if from a fairy tale! Doda, I apologize for not stopping by earlier, may you have a great, beautiful year. Looking forward to reading more asap. Want to add that I did not know about gifts on January 1 ! I like this idea so much and wish we could adopt it here – and your pictures are nice -Lehrer / the triad collages and that opening layered photo is pretty artsy! HNY! Thanks for clearing up about the Christmas and New Year traditions here in Greece. Although I am Greek I give presents on Christmas day, happy New Year. Happy New Year to you too, dear Doda. Such a happy and colorful mood in your post, perfect to start the year with. It’s interesting that gifts are given on Jan 1st in Greece, here on Christmas Eve, Dec 24th. No white Christmas this winter but we got some snow in January. I was surprised you had to request the access to my blog, dear Doda, you are always welcome there. You were the first person I sent the invitation to, all you had to do was to click accept and you would be able to see the blog. It looks like some of the invitations went to the spam folders. I did not know presents are usually given Jan 1st in Greece. I learn something new every day:) Wishing you a happy new year and all the best for 2016 dear Doda! There are also variations according to ortodox and heterodox Celebrations of Christmas, as far as I am concerned… These ones depend and are based on different calendars. Sending much love and wishing you an excellent 2016, my friend. Good to see your post and all the best in the new year!! Love your santa phone!! !- and of course those wonderful traditions! Happy,Healthy and Prosperous New Year,dear friend Cybele!Ask Nikos to tell you a few things about St Basil the Great.He was Archbishop of Caesarea in Cappadocia,Asia Minor.He is also called Ouranophantor,which means a renowned and bright star, the “revealer of heavenly mysteries”.His honourable head is in the Great Lavra on Mount Athos in Chalkidiki. 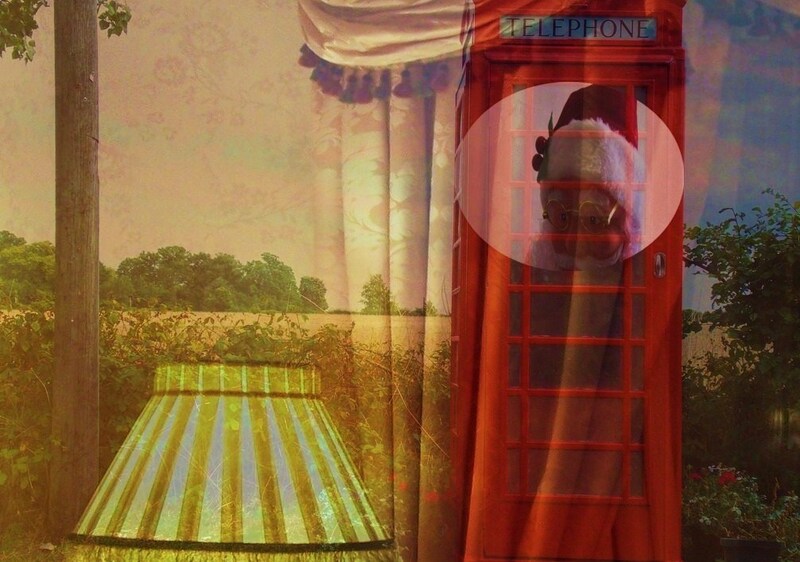 A lovely little post, Doda, and I love the ‘phone call’ idea. I’ve also learnt a couple of new things from reading this, so I thank your for that. The first concerns St. Basil. I had never heard of him before reading your post, although I now realise he’s synonymous with Father Christmas and Santa Claus. The second thing I didn’t know was that you celebrate Christmas Day on January 1st in Greece – the reason for which I now realise is because that is St. Basil’s Day. Traditions, worldwide are truly fascinating and I love to hear about anything I didn’t know. Thank you so much for posting this, Doda. 🙂 I hope you have a very Happy New Year! Thank you so much my good friend Millie for appreciating my little St Basil’s post and our tradition! Yes,Saint Basil the Great,Archbishop of Caesarea in Cappadocia,Asia Minor or the “revealer of heavenly mysteries” an Ouranophantor,which means a renowned and bright star,all the glory and beauty of the Church.His honourable head is in the Great Lavra on Mount Athos in Chalkidiki. We sing special carols on the Eve to honour him and a place is set for him at the table as he is believed to visit the homes of the faithful and leave his presents.We also make a special Basil bread or cake (Vasilopita) and put a silver coin in it and whoever receives the slice with the coin is said to receive the blessing of St Basil for the coming year. But we celebrate Christmas on the 25th of Dec.;simply we don’t receive the presents then.I love traditions too and I like to compare the differences and find so many historical and cultural elements hidden behind them. Happy 2016 to you Doda.. and Love the Orchids.. Love and Blessings for a splendid week.. and enjoy all that you do.. Love and Mega Hugs in your direction..